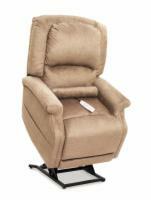 December 13, 2011–Watkinsville, GA– Lift-Chairs-4-Less.com is proud to announce the return of the PR-401 Lift Chair from Golden Technologies. The PR-401 is equipped with the Smart Tek system, ensuring a smooth lift every time. It is also overstuffed to provide the highest level of comfort available for a 3 position lift chair, as well as a design that can fit into almost any décor. The Golden PR-401 is available for purchase immediately. Lift-Chairs-4-Less.com is based in Watkinsville, GA and serves all of the lower 48 states. For more information about the company, please visit Lift-Chairs-4-Less.com.